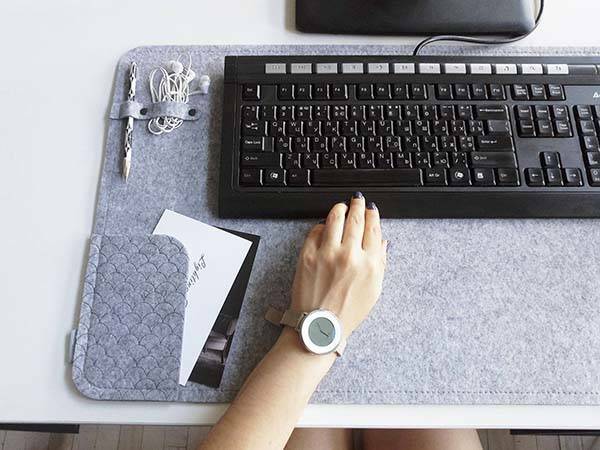 Using integrated desk organizer, the handmade large desk mat delivers a neat and comfortable workspace. Like the idea? Let’s keep checking. 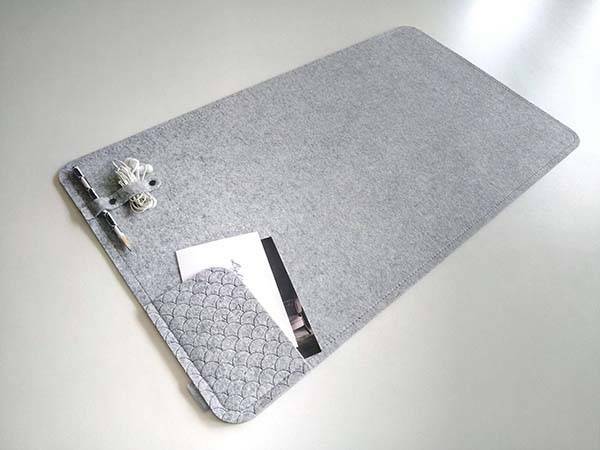 This is a well-designed and versatile computer desk mat handcrafted by WoollyClouds, a small handicraft studio from Kiev. The desk mat measures 15.75 x 27.5 inches (40 x 70 cm). As we can see from the images, it shows off an elegant and minimalistic appearance design, and three optional colors allow it to match well with different interior styles. Meanwhile, two options for left-hander and right-hander ensure it fits for every user. 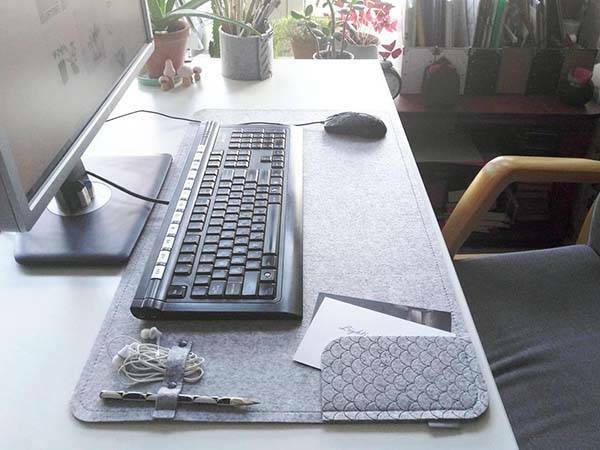 The large desk mat is made of 3mm thick polyester felt plus meticulous stitching in order to deliver a durable and long-lasting construction, and the soft exterior adds comfort and warmness to your desktop. Of course, you will also never worry about your laptop or other accessories scratching your wooden desk. Moreover, the desk mat also features an integrated desk organizer that can be used to keep your notes, pens, cables and earbuds in place for easy access and neat storage. The handmade large desk mat is priced at $27.5 USD. If you’re interested, jump to Etsy for its more details.